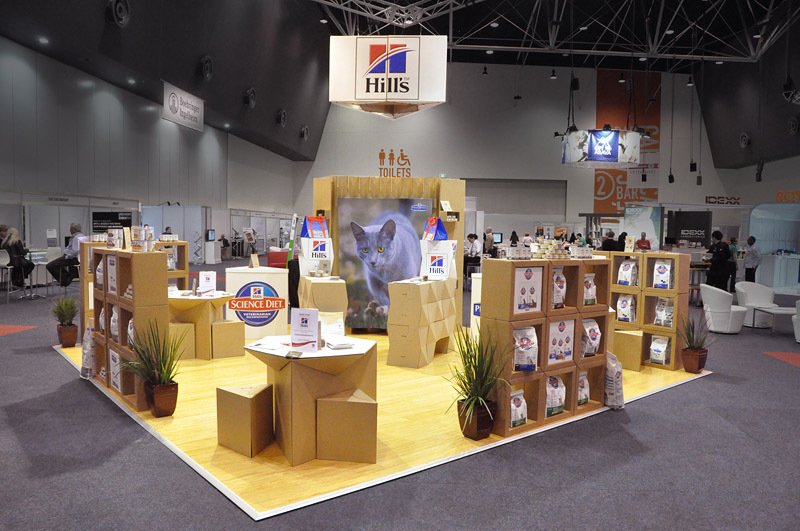 Cre8 Exhibits and Events commissioned Fold Theory to design two sustainable trade show stands for Hill’s. 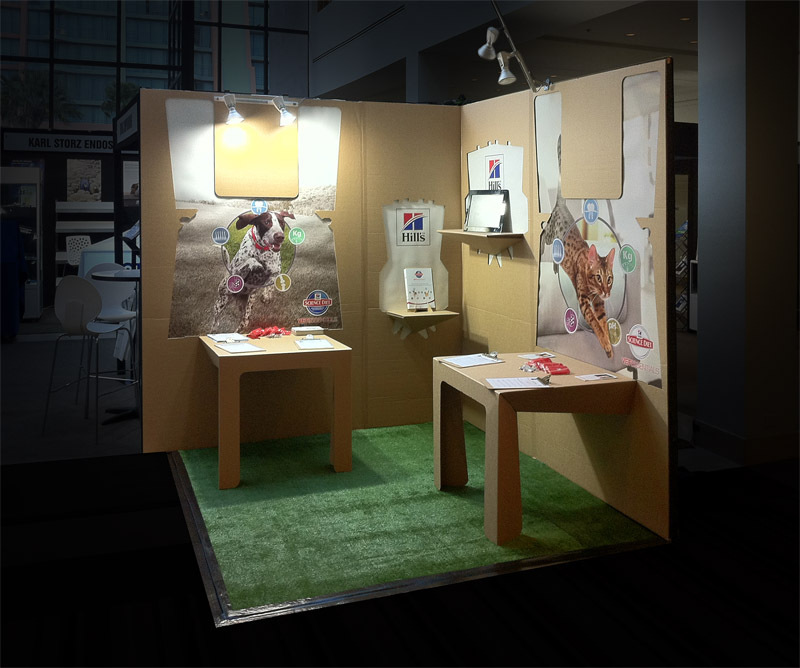 Working with Cre8’s Sydney-based design team, Fold Theory produced flat-packed and 100% recyclable structures. 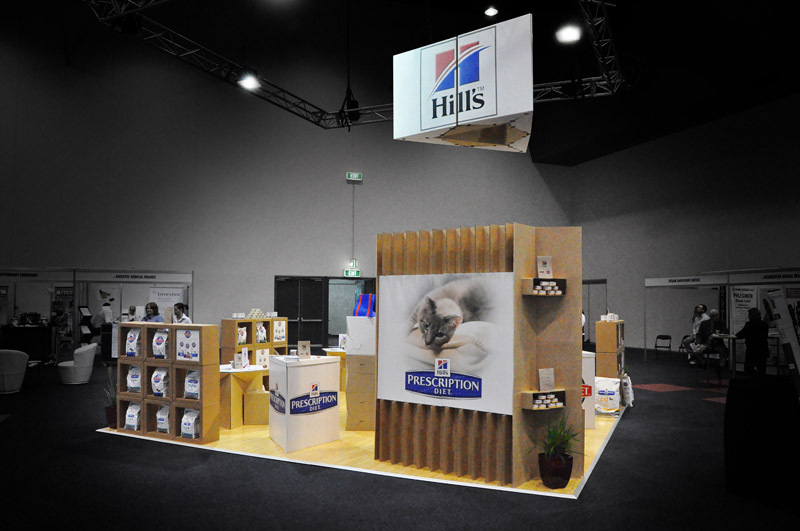 The first design won the ‘Best Stand Award’ at a veterinary conference in Canberra, and was shown in a new configuration in Perth. 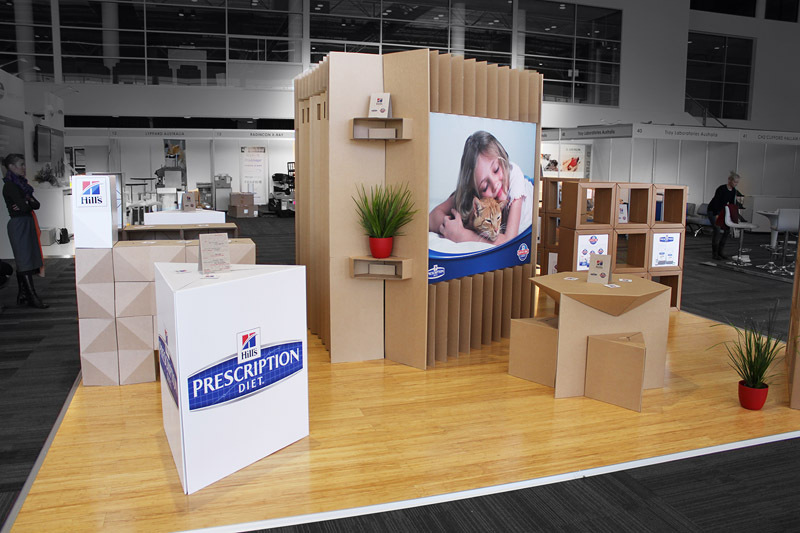 A smaller design featured furniture that folded out from wall panels, and was shown in different sized formats in Melbourne and the Gold Coast. 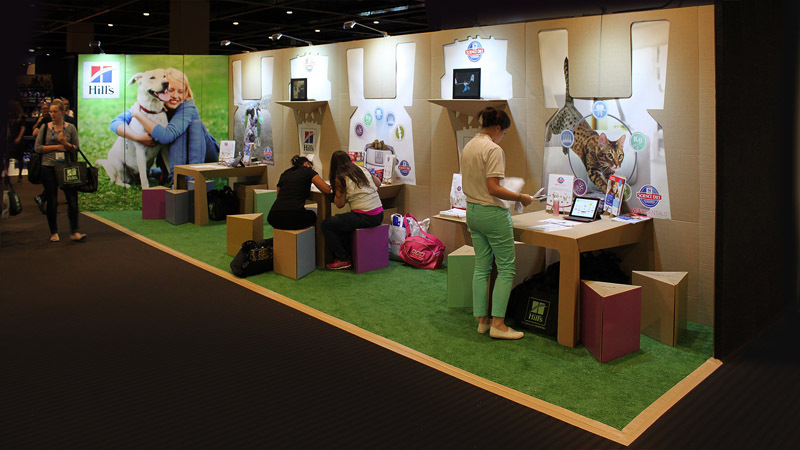 For more information on the furniture used on the stand, send us an email.